We’re always in the market for a new hair treatment. We have a few standbys from Gatsby and Shiseido, but one brand we can’t overlook is Mr. Natty. They are based in England and make outstanding products. 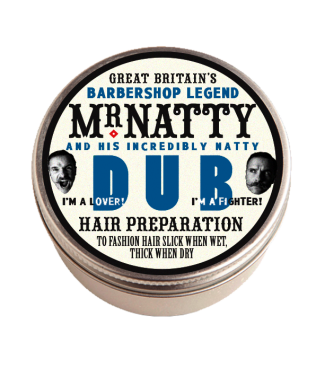 The Dub Hair Preparation is a fan favorite as Natty aficionados have been mixing multiple products to get the perfect consistency. This product is a combination of the roughness of their Clay and the sharpness of their Pomade Wax. The Dub works with damp hair to provide that slick look or dry hair for that tousled look.